One of the many Istanbul photos shot by the late doyen Ara Güler. The Turkish Presidency has established the Ara Güler Exhibition to introduce the works of talented photographer and photojournalist Ara Güler, who passed away last year, to art lovers in major cities around the world. As one of the top seven photographers in the world, Ara Güler was awarded the title "Master of Leica." The works of the late photographer will be exhibited in London, Paris, Kyoto, New York, Rome and Mogadishu. The first of the exhibitions organized by the presidency with the cooperation of Ara Güler Museum Archives and Research Center will open on National Sovereignty and Children's Day on April 23 at London Saatchi Gallery, one of the most important art centers in the U.K. The exhibition will be composed of Güler's Istanbul photographs. There will be a selection of historical portraits, including those of Turkish minstrel Aşık Veysel, writer Nazım Hikmet, Picasso and Dali, with frames from Anatolia and around the world. In the London exhibition, a special place will be allocated for the portraits of figures that influenced the history and art of Britain, such as Winston Churchill, Alfred Hitchcock and Bertrand Russell. Likewise, important figures of each society in the designated countries will be added to the exhibition's selection. The Ara Güler Exhibition will be on display in important museums and galleries abroad and will sustain the memory of the master in the international art platform. At conferences to be held at the exhibition centers, the photography of Güler will be analyzed by professor Hasan Bülent Kahraman. The exhibition's book, the preface of which was written by President Recep Tayyip Erdoğan, will be read by art lovers in every country where the exhibition is held in their mother tongue. President Erdoğan describes the master in the preface he wrote for the exhibition book by saying: "Ara Güler was a truly global brand in his profession. The most important proof of this is the fact that all the important names that have left their mark on our world in the last 65 years with their political struggles, statesmanship, ideas, artworks and human sensibilities have passed in front of his lens. We, as the nation, are proud that the photographs he took throughout his long career that started in 1950 take place in the seat of honor at museums, collections and albums all over the world today. The adventure of Ara Güler, who puts Istanbul, where he was born and raised, in the center of his life and art, is like a summary of our recent history. We will always respectfully remember him as one of the most ideal examples of the true artist profile in our country with his original, encompassing and productive style, free from bigotry." After the Saatchi Gallery in London, the exhibition will open in Polka Gallery in Paris at the end of May. The exhibition will also be held at Tofukuji Temple, one of the most historical sites in Kyoto, by crossing the borders of Europe for its third stop. The opening of the exhibition will take place at the end of June, when the G20 Summit is scheduled to be held in Japan. The fourth inauguration of the exhibition will be held in New York in late September and will coincide with the United Nations General Assembly, which is one of the major events in the spotlight of global media and political circles for 2019. The exhibition is to be inaugurated at the Smithsonian's National Museum of the American Indian, one of the city's most frequented destinations, and is expected to attract large crowds from different cultures and nations from across the world, who will visit New York on the occasion of the U.N. General Assembly. Near the end of the year, the exhibition will meet art lovers at Museo di Roma in Trastevere. It will be in the Turkish Embassy in Mogadishu in 2020. 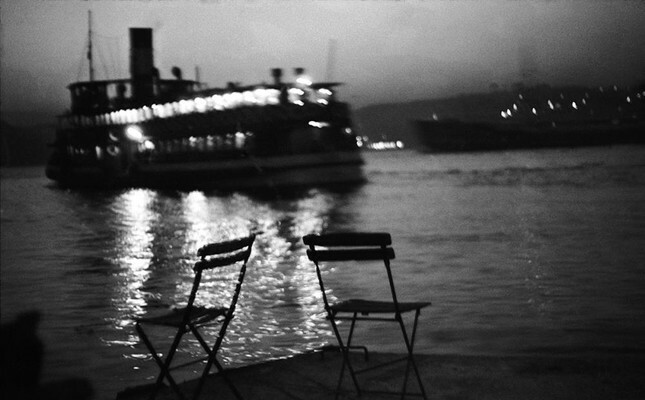 Armenian Turkish artist Ara Güler was born in Istanbul in 1928. The most prominent envoy in the global arena of Turkey's creative photography, Güler worked as a Near East photojournalist for Time Life in 1956, Paris Match in 1958 and also Stern magazine. At around the same time, Magnum Photos began to publish Güler's photos globally. He was listed in the "British 1961 Photography Yearbook" as one of the seven greatest photographers in the world. The same year, he was accepted as the only Turkish member to the American Society of Magazine Photographers (ASMP). He was deemed worthy of the "Master of Leica" title in Germany in 1962. The same year, Swiss Camera magazine, one of the world's leading photography publications, published a special issue about him. Güler also took the photographs featured in Lord Kinross' "Hagia Sophia" book published in 1971. The cover photo on "Picasso: Metamorphose et Unite," published by Skira Books to celebrate Picasso's 90th birthday, was also captured by Güler. His images on art and art history were published by Time Life, Horizon, Newsweek and Skira Publishing House. Güler's photographs of Sinan the Architect's buildings were published in a book titled "Sinan: Architect of Süleyman the Magnificent" in France in 1992 by Edition Arthaud Publications, and in the U.S. and the U.K. by Thames & Hudson Publications. In 2002, he was awarded the "Legion d'honneur: Officier des Arts et des Lettres" by the French government, and in 2009 "La Medaille de la Ville de Paris" by the city of Paris. He was deemed worthy of the Presidency of the Republic of Turkey Culture and Arts Grand Award in 2005, the Republic of Turkey Ministry of Culture and Tourism Culture and Arts Service Award in 2008, the Turkish Grand National Assembly Superior Service Award in 2009, the U.S. Lucie Awards Lifetime Achievement Award in 2009 and the Republic of Turkey Ministry of Culture and Tourism Culture and Arts Grand Award in 2011. Güler was also granted honorary doctorates by Yıldız Technical University in 2004, Mimar Sinan Fine Arts University in 2013 and Boğaziçi University in 2014. The Ara Güler Museum and Ara Güler Archives and Research Centre was inaugurated on the occasion of his 90th birthday on Aug. 16, 2018. Ara Güler passed away at the age of 90 on Oct. 17, 2018.